Facial Plastic Surgery - a correction of the projection cheekbones, cheeks, chin, which implies a decrease or increase at the expense the different methods of plastic surgery. Make corrections face can be twenty-five years, when already formed a bone-facial skeleton. If the defect is acquired, it can occur after a person has received some kind of trauma, as well as human experiences in occasion of not ideal his appearance. 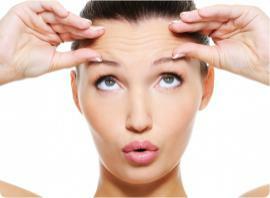 In Plastic Surgery for correction use different Methods. Lipofilling - this increase in volume due to the local introduction of the patient's own fat. Implantation - the volume increases with the help of silicone implants. Surpluses of adipose tissue of the face and neck to remove the liposuction. Having decided to do facial plastic surgery, surgeons must first conduct a consultation, and then after the conversation, required examination, the doctor has to say, whether will improving the appearance after surgery. He must also tell you as far minimal the risks and how effective will be the result of the operation. The operation is performed under general anesthesia, only in very rare cases may be performed under local anesthesia. Time of the operations takes an average from thirty minutes to one hour. Correction time is mainly dependent on the volume upcoming work. The duration of the postoperative period amounts to a few days if the surgery was performed under local anesthesia, then you can leave the hospital the same day. In the postoperative period a physician - rehabilitologist will make and conduct an individual rehabilitation program, which will speed up the recovery period and will help improve the outcome of the operation. In the postoperative period impose a special dressing, which is removed after about five days. And in the case of liposuction of the chin bandage is removed after two weeks. The stitches are removed ten days after the operation, the final result can also be seen only after a couple of months. Up to this point is not recommended to visit a solarium and saunas. Requesting such assistance as the plastic face should only to a highly qualified specialists in this matter. It is desirable that they have already many years of experience and can perform operations of the highest complexity. If the doctor is really good, then the person can be sure that the result them did will not disappoint, but rather will rejoice.